A universally accepted item of women’s clothing, tops are fashionable throughout the year; there are a variety of styles, cuts and color palettes available to make it acceptable to wear them throughout the year. India inspired women’s tops are a cultural take on an item of clothing that is otherwise considered ‘Western’ in conception. 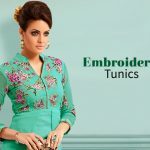 Making it a part of our own culture, Indians have transformed the definition of a ladies’ top by adding cultural elements such as regional prints, intricate embroidery, varying lengths and unique cut of the neckline to denote Indian traditional style. 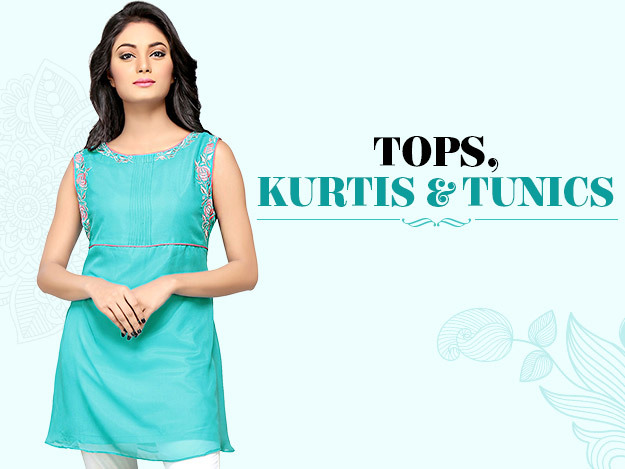 Kurtis, which are a shorter version of the kurta, have become common Indian style tops women sport these days. 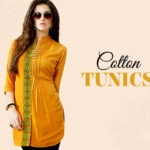 Of late, tunics have also become very popular. These styles have also gained immense recognition in the West. This boom in recognition has a lot to do with the versatility and the creativity of these tops. 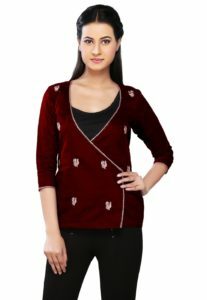 High-street, ethnic fashion tops for women have been popularized by many well known brands which assures customers of their good quality, good fit and high-quality stitching. There are many choices when shopping for ladies’ tops. 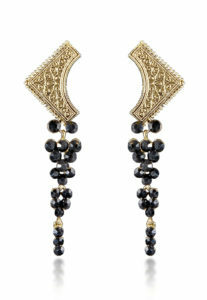 One could go for items that reflect the Indian color palette – reds, greens, browns, black, saffron, gold or brass. Other options include tops for ladies that have a Mango butti print, chikan work or appliqué work; the variety is endless. 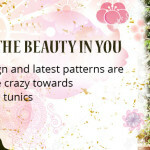 Besides the actual design on the top there is the styling of these tops for women. The Nehru collar, angrakha style and kaftan style are all in vogue and being worn both on and off the ramp. 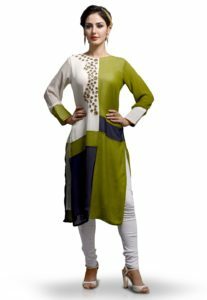 The tops for women from India as well as other countries are styled to meld the best aspects of two cultures and are a reflection of modernity fused seamlessly with tradition. However, this does not restrict the styling of this clothing item, but adds to its charm and the consumer’s satisfaction. The appeal of Indian ethnic tops for women goes beyond the amazing craftsmanship and the centuries of culture that has seeped through to create this unique item of clothing. It is not a very well recognized fact that for all the creativity and uniqueness that is poured into each of these tops, they are still very reasonably priced. Furthermore, their consumption among the urban Indian women is so high that one would think these items would be priced higher than they actually are. 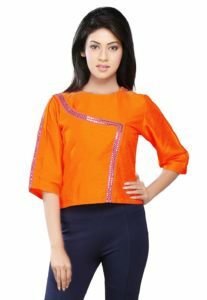 However, the market has made ethnic tops for women’s daily wear, easily accessible to consumers from across the globe at very affordable prices. The comfort of these tops is complemented by their ability to be paired with just about anything. Pairing the tops off with jeans offers a very casual look that can be pulled off during the summer, spring, monsoon and autumn. More and more women however are wearing these cotton tops with capris or stylish khaki shorts making it an enviable casual wear for a hot summer afternoon as you’re strolling by the sea. Balloon pants, harem pants and even full-fledged patialas render a very bohemian look that anyone can pull off with the right kind of accessories. 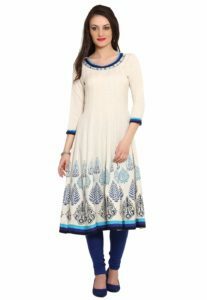 Ankle length A-line skirts, broomstick skirts, flared skirts, peasant skirts and a wrap-around or sarong skirt are all the rage when paired with short and fitted Indian kurtis. Accessorizing with such a top for women is easier than most consumers believe. Depending on the neckline, one can opt for chunky jewelry with heavy centre pieces, artificial gold jewelry set off with stones in a color that complements your kurti, or even multiple threads of long beads can really add life to your overall look. 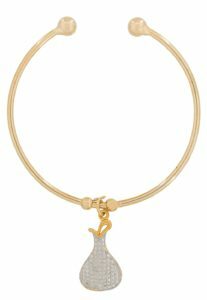 Accessories for your wrist can include thick bands or multiple band leather bracelets with bronze charms that will compliment your kurti very well if you’re sporting warm or earthy colors. However, multiple threads of beads or a dozen silver or golden bangles will also seal the deal while adding a certain elegance and beauty to your look. Add class to the overall look with Indian sandals or jutis would be ideal. They go well with almost all kinds of bottom wear. 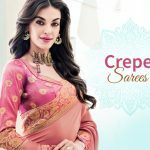 Fashionistas Swear By These Lovely Summer Sarees!